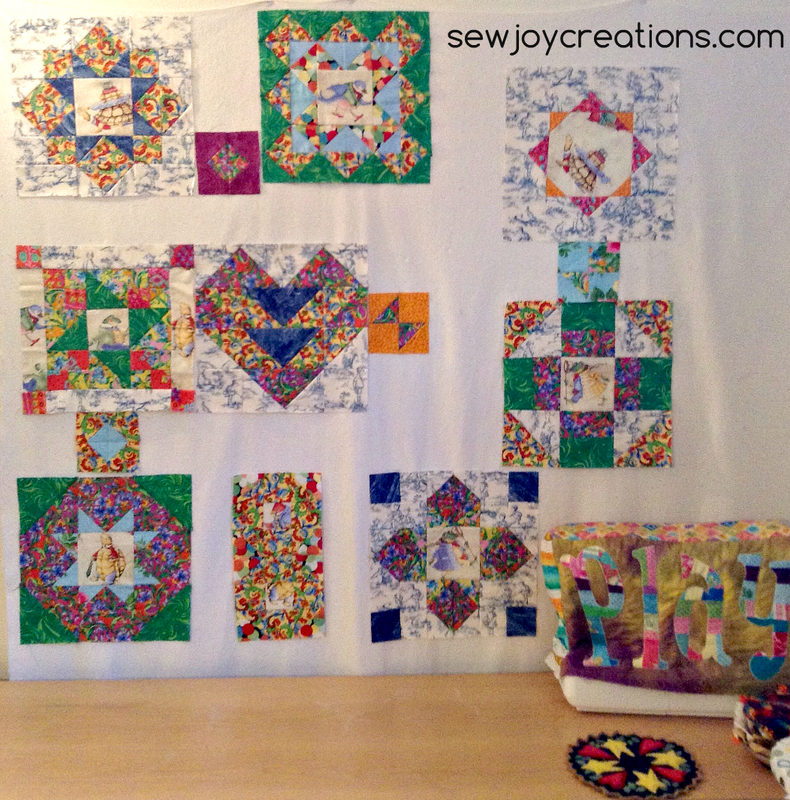 Today the focus of my Me Quilting and my Vacation Time Quilt - Pat Sloan and Free Quilt Patterns' Block of the Month. It was also an absolutely gorgeous late fall day - sunny and no snow in sight! 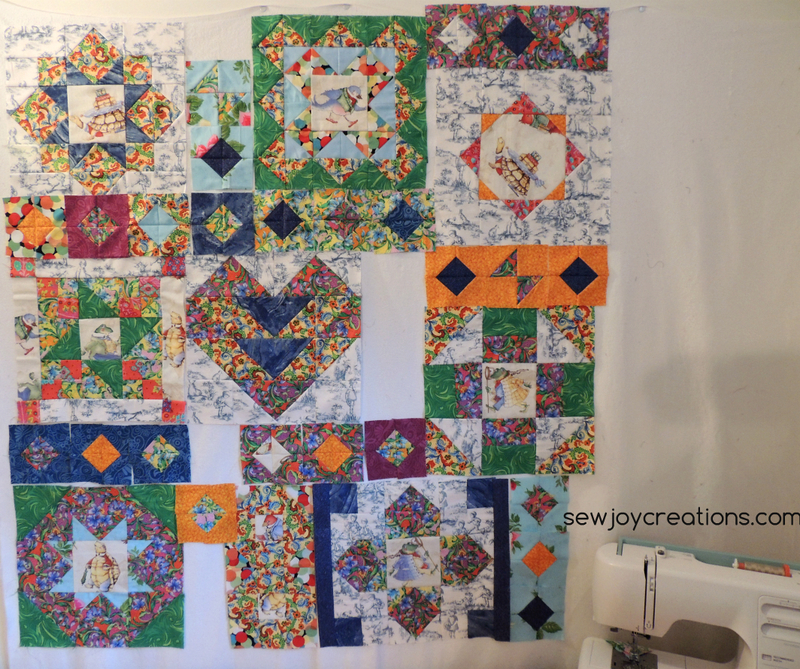 After the first cup of coffee it was down to my quilting space to put up the blocks and the few sashing blocks I had done. 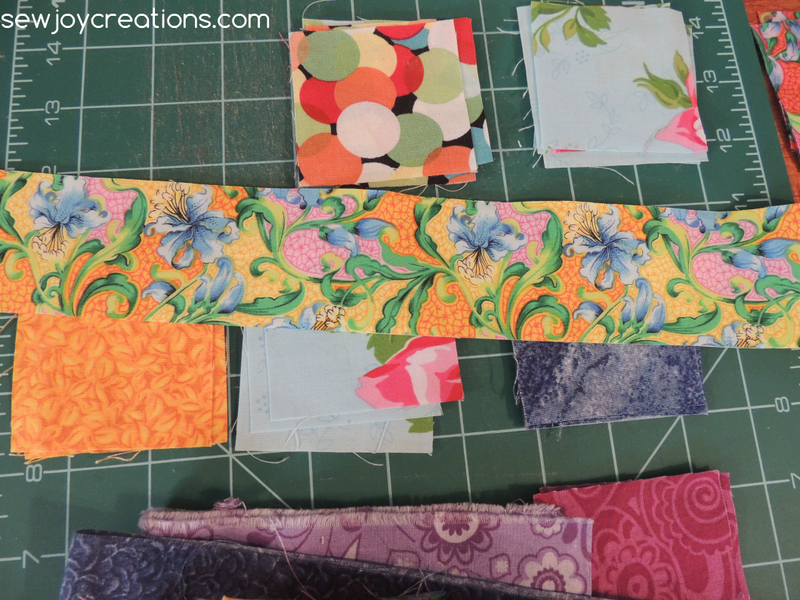 It became obvious pretty quickly that I needed more fabric to make my seashell blocks. 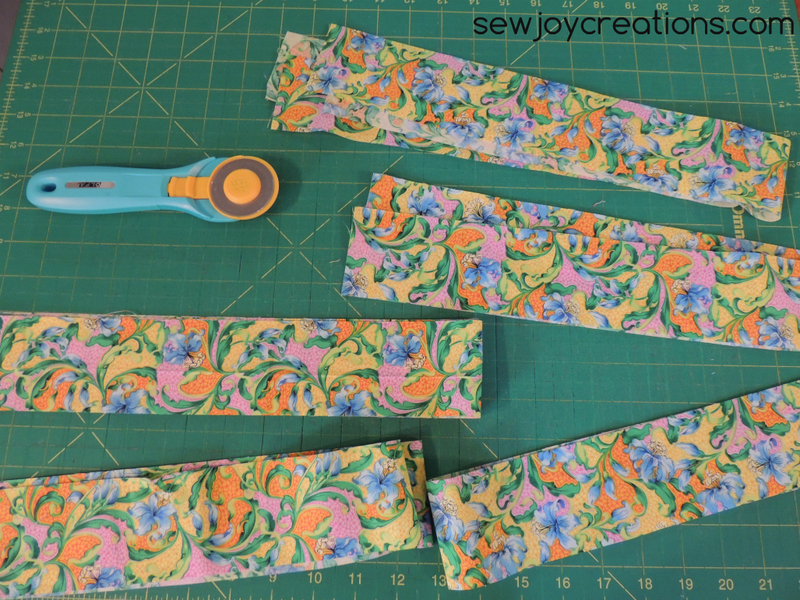 I started finding extra fabric by cutting the inner border fabric. The inner border fabric provided a strip of squares for the outer part of the blocks and a 2 inch strip for the inner part. 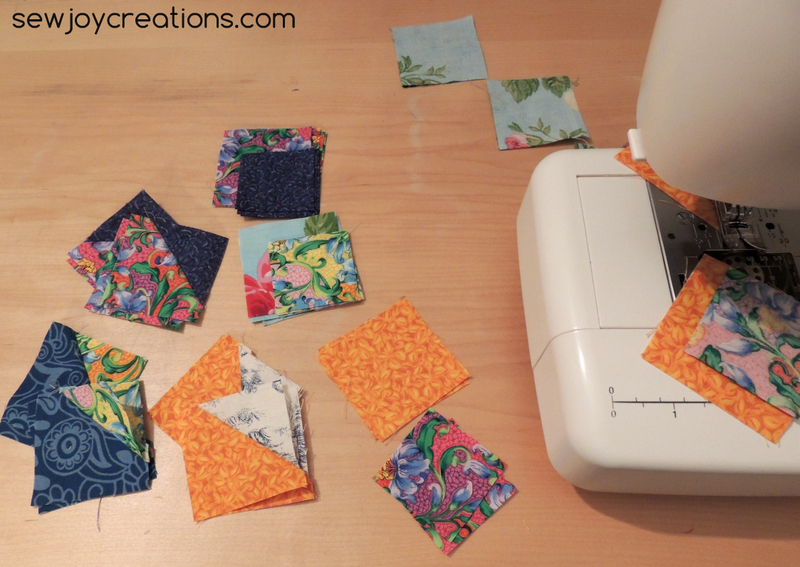 I decided to get all of my sea shell block parts ready and then start sewing them together. 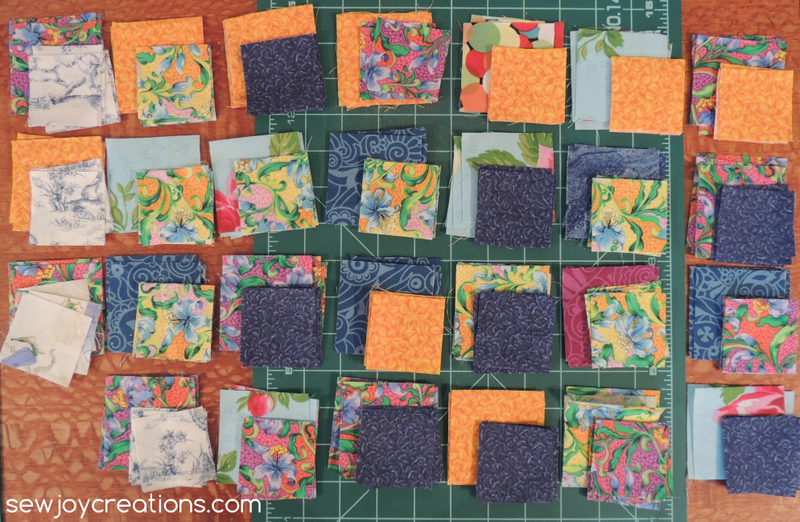 These piles make their own neat quilt, eh? By lunch time I had a few more sea shells in place. 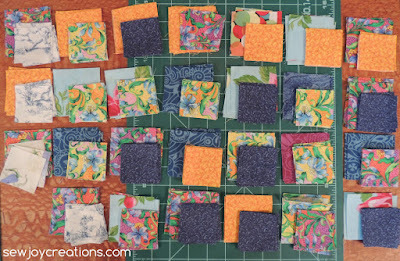 After lunch as I sat sewing in front of the blocks it started to feel busy. And too busy for me means it's definitely too busy!! I started to place the blocks with the same background fabric into groups. I find it gives the eye a place to rest - even if it's just a little space! 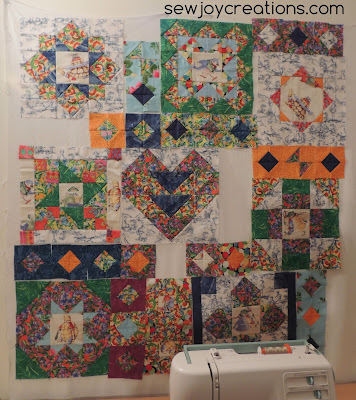 Now with the borders reading (more or less) as one color, the quilt blocks get the attention they deserve again. Of course my plan had been to mix up the sea shell blocks and I don't have 3 the same of some of the blocks. These are the ones I left have to sew. My afternoon sewing was a bit less because I went for a walk in the beautiful sunshine! I was actually hot by the time I got home. Then I enjoyed some coffee on the front porch! Tomorrow is another day and my Vacation Time quilt will still be the focus for me. I'm linking up with The Needle and Thread Network WIP Wednesday. What's your Work in Progress this week?